Way back in 1975, brothers Fred and Bill Foster along with two friends set to work on building a prototype lighting control desk in a basement apartment in Madison, Wisconsin, using an exciting new technology called microprocessing. The investment in the future has not stopped to this day. Almost 40 years later, ETC continues to take a two family approach to control desks, with users being the judge of the operational style they prefer. The ETC Cobalt family, which is being launched at this year’s PLASA London show, carries on this trend. The new system is designed to offer a complete set of lighting design tools with a short command, direct access style of operation. Cobalt product manager Sarah Clausen says: “We really wanted users to be able to reach out and touch the light – craft it, colour it, move it – with nothing between them and the rig. Thoughts turn into light. That’s what we’ve achieved with the multiple touch screens of Cobalt – users simply touch what they want to change, just like they’re used to with their smartphone or tablet. The flagship of a new control desk family, Cobalt 20 offers two full colour built-in multitouch displays and the option for three external monitors, a backlit command keypad and a main playback area with active crossfaders along with a set of split centre-weighted spring loaded rate controllers. Says Clausen: “Masters let users customise the desk so that every playback, every button, fits the way they build or play back the show. “Everything is designed to help users break free from syntax and work with directly with the light,” continues Clausen. In addition to the Cobalt 20 console, ETC is launching the Cobalt Light Server and Cobalt Nomad. The Cobalt Light Server is a rack-mountable version of the Cobalt, designed for use as a backup. The Cobalt Nomad product, meanwhile, is the PC version of Cobalt, limited to up to four universes of output total. Shipping is expected from the fourth quarter of 2013. 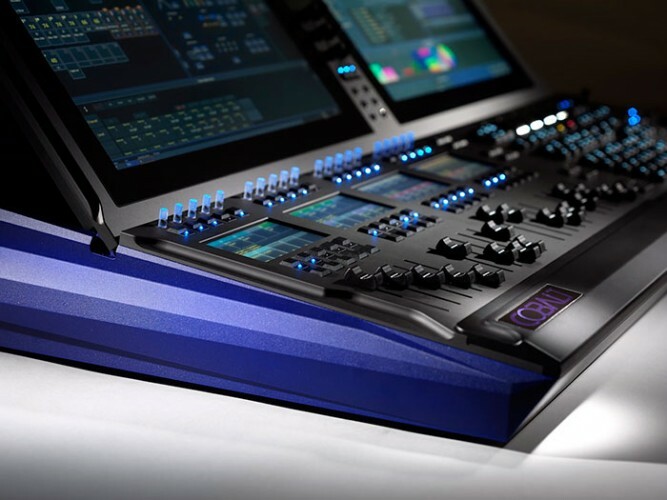 Get the first look at Cobalt with a demonstration on the ETC stand (J60) at this year’s PLASA show, 6-9 October at its new venue at the ExCeL Centre in London’s Docklands.